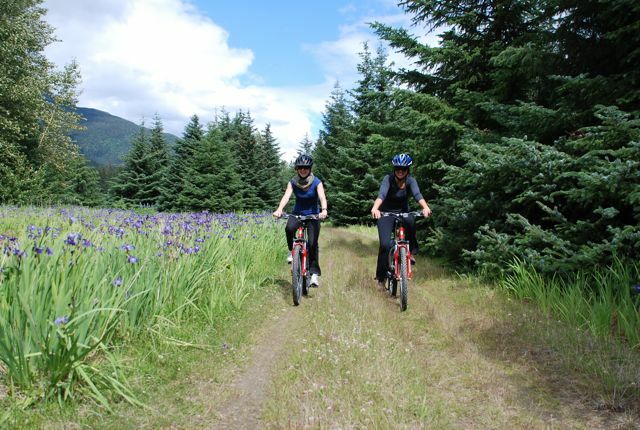 Experience the natural beauty and history of the Taiya River Valley on a relaxing bicycle ride. 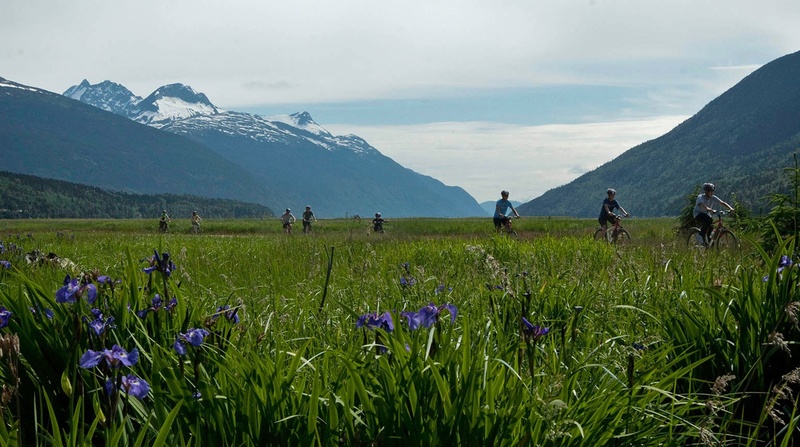 Get away from the crowds in Skagway on this intimate bike ride in the beautiful Taiya River Valley. 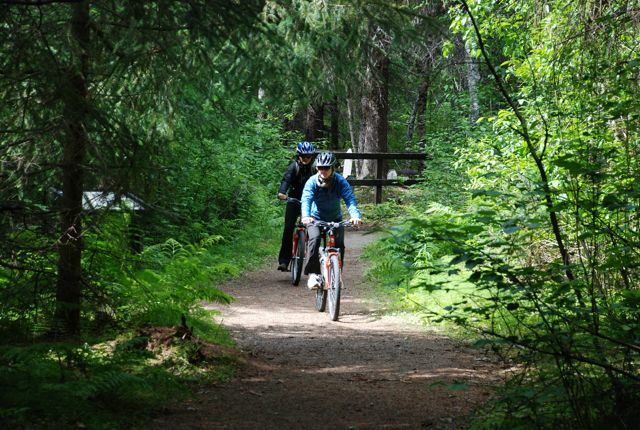 You bike five miles on flat dirt roads through the rainforest, visit the historic site of Dyea, and venture onto the coastal tidal flats. 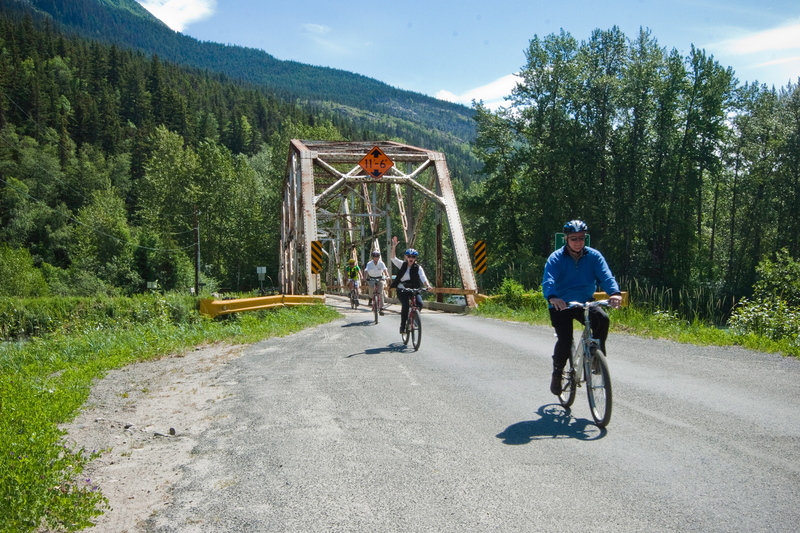 Restrictions: Minimum age is 10 and minimum height is 4'6"
Experience the natural beauty and history of the Taiya River Valley on a bicycle! 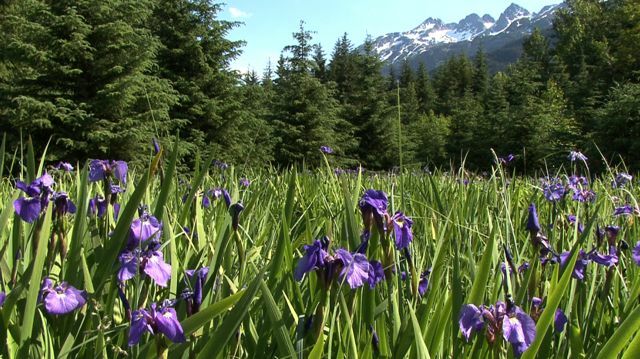 During the Gold Rush, Dyea was Skagway’s rival city, booming with 10,000 people. Now nature has reclaimed the land, leaving only ghosts of its Gold Rush past. 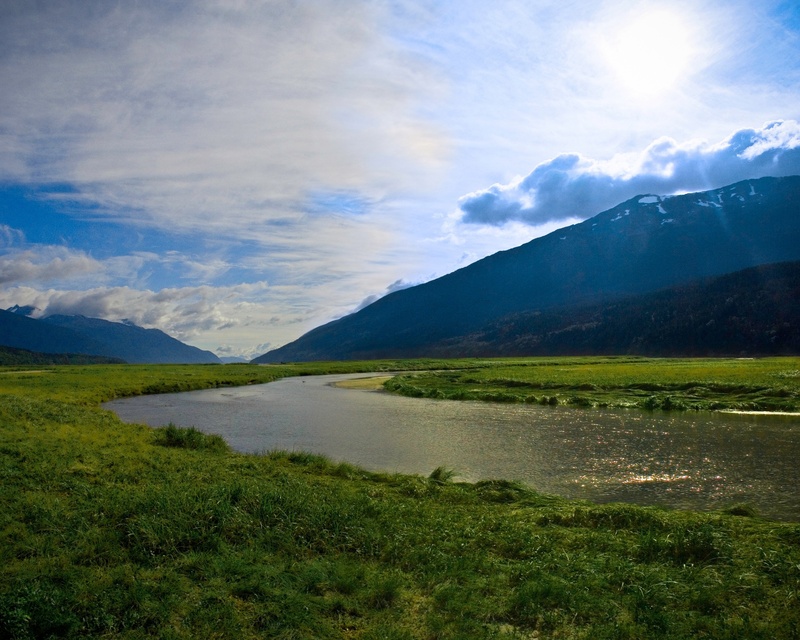 This scenic tour starts with an informative van tour along the spectacular coastal inlets to the west of Skagway. Your professional guides tell you stories of the rush of 98’ and inform you about the ecology of this rich area. 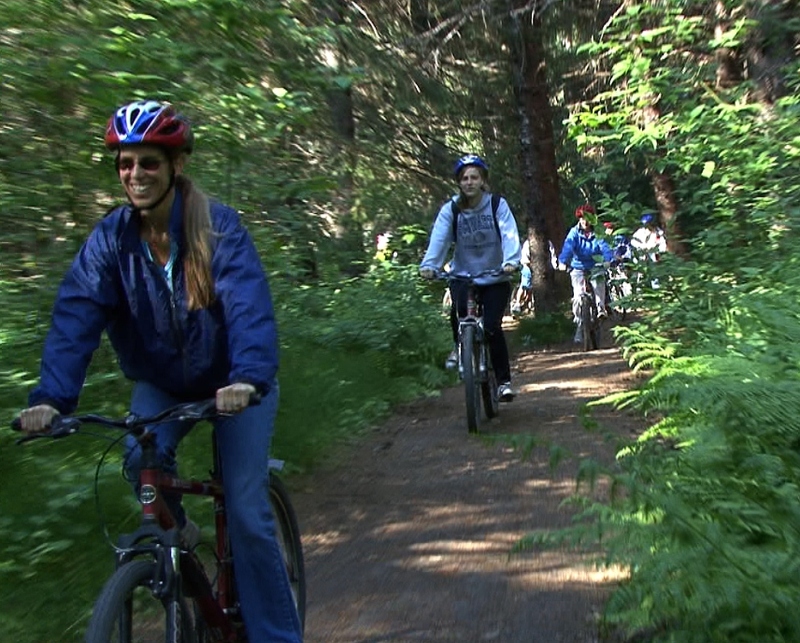 After a bicycle and safety orientation, your guide leads your small group on a bike route that covers five miles of flat terrain for easy pedaling. 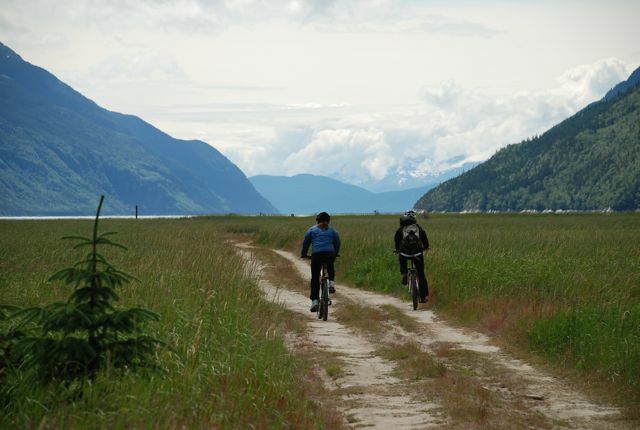 You ride through the lush rainforest, visit historic ruins, see the Chilkoot trailhead, and venture out to the coastal tidal flats where eagles, salmon, colorful wildflowers, and dazzling mountains are often in view. 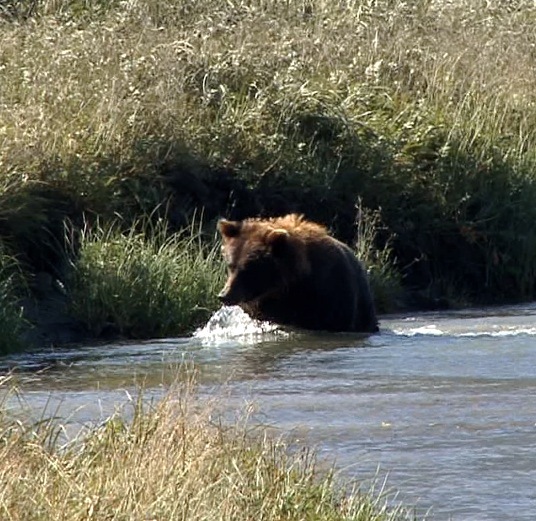 Do not be surprised if you spot a bear! 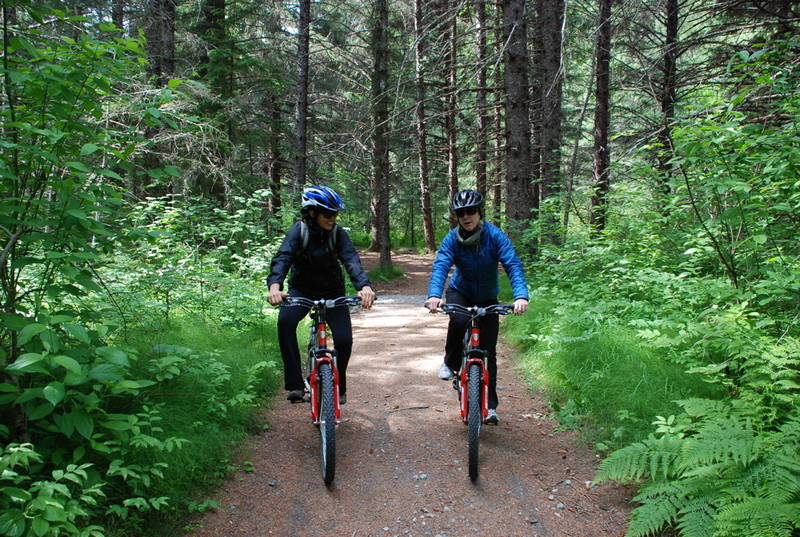 Leave the crowds behind, get some mild exercise, and take in the natural wonders of Alaska on a bicycle! Explore off the beaten path, and one of only a few companies permitted to lead tours in Dyea. 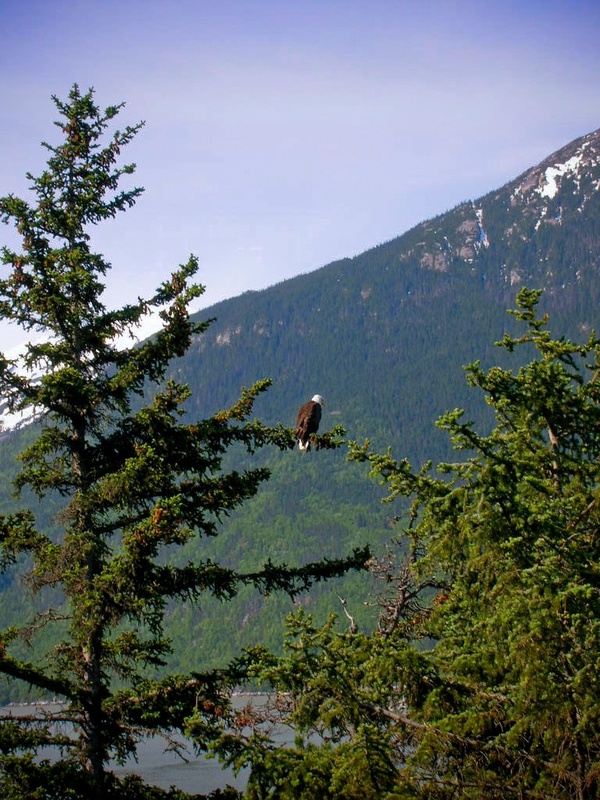 Experience the natural beauty of a temperate coastal rainforest. Bike five miles on flat dirt trails. Notes: Participants must be confident riding a bicycle with handbrakes on approximately five miles of flat, dirt roads. Participants must be at least 10 years old and 4’ 6” in height. Sport shoes and layered clothing are recommended. 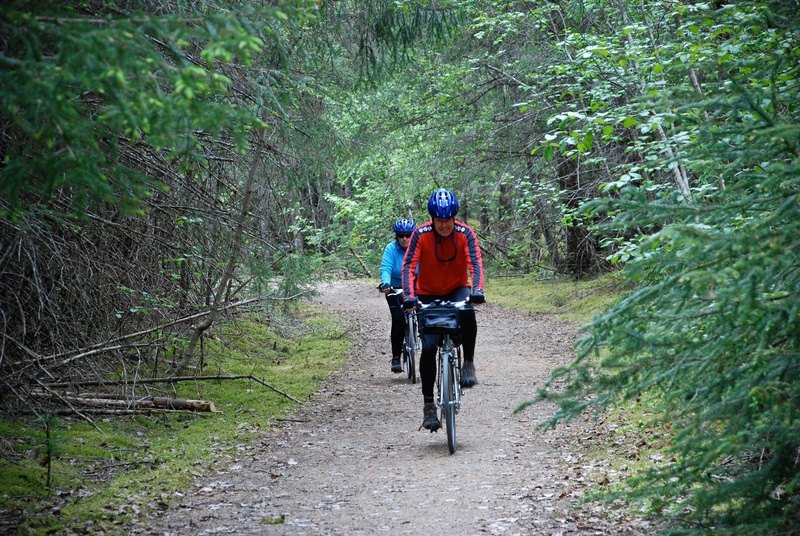 Helmet, rain/wind jacket, pants and fleece gloves are provided. Tour time and distance may vary depending on group.